How cells bag their rubbish | EMBLetc. 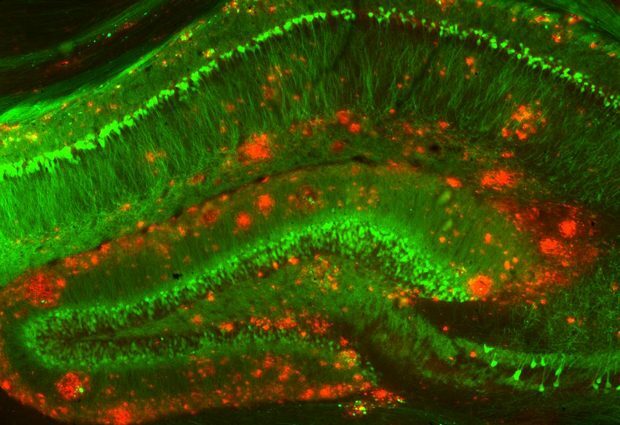 The buildup of protein deposits in cells is a hallmark of neurodegenerative diseases such as Alzheimer’s and Parkinson’s. “A protein accumulates in neurons, neurons die, and patients gradually lose brain functions,” says Carsten Sachse from EMBL. “If the process by which the cell removes those proteins can be enhanced, then you might be able to prevent that disease progression.” But before scientists can give the cell’s rubbish collectors a boost, they have to understand how the system works. In a paper recently published in EMBO Reports, Sachse and his lab drew on expertise from colleagues throughout EMBL to do just that. Healthy cells can break down small waste molecules on the spot, but big deposits have to be wrapped in membrane and carried to specialised cellular compartments where ‘shredder’ proteins eliminate them. Scientists knew that specific receptors guide membrane to different aggregates, like collection services picking up different kinds of recyclables. But exactly how the aggregates are formed and how the receptors interact with them was still a puzzle. To begin to solve this puzzle, PhD students Chiara Bertipaglia and Sarah Schneider examined a very similar process: how the ‘shredder’ proteins accumulate and are carried to the ‘elimination compartments’. Working with yeast cells, they discovered that the receptor controls the size of the protein deposits, bringing in the membrane to enclose it when it reaches the right size, like bagging and disposing of household waste when your bin is getting full. To arrive at this seemingly straightforward conclusion, the scientists had to answer a number of questions, which required a variety of approaches. To investigate how the proteins in a deposit bind to each other, they had to determine their 3-dimensional structure, so they turned to cryo-electron microscopy and X-ray crystallography, enlisting their colleague Arjen Jakobi, whose postdoc position is shared with the Wilmanns lab. To probe the interactions between the deposits and the receptors, they needed to reliably measure the relative amounts of each inside cells – a task Marko Kaksonen’s lab was well placed to assist with. And to study how and when the deposits were ‘bagged’ in membrane, they drew on expertise from John Briggs’ lab to reliably find the cells’ rubbish collection points under a light microscope, and zoom in on them under an electron microscope. Sachse would now like to look at the cell’s garbage collectors, to investigate how the different receptors bind to specific protein deposits. “Understanding this recognition process could help you to at some point directly target the deposits that accumulate in different neurodegenerative conditions – this is the long-term vision,” he concludes.